How do top healthcare providers keep nurses feeling empowered and providing optimal care for patients? This collection of resources presents best practices and lessons learned from leading healthcare organizations, combining the most effective and innovative strategies for strengthening and supporting your nursing staff, as tested by the industry’s top organizations. Nurses working in today’s fast-paced, results driven healthcare environment deal with overwhelming stressors such as worried family members, life and death decisions, and intense workloads. As a result, nurses often feel their ethical values are being compromised resulting in moral distress. This often leads to decreased productivity, nurse turnover, poor job satisfaction, and decreased quality of care. How do top healthcare providers keep nurses feeling empowered and providing optimal care for patients? 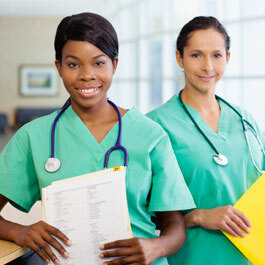 In this on-demand 60-minute webcast learn why addressing moral distress and burnout is crucial to nurses, patients, and organizations. Discover specific steps and interventions to help build a culture of ethical practice that supports nurses and allows them to develop moral resilience. The shift in attitude has many organizations struggling to retain millennials and learning to adjust management strategies to accommodate their unique style. Studies show only 30% of nurses are actively engaged, which can negatively impact patient satisfaction, safety, and nurse turnover. Join experienced nurse and leadership specialist Patty Kubus, RN, MBA, PhD, for a 90-minute webcast to learn how to build a culture of nurse engagement. Don’t miss the chance to improve nurse satisfaction, increase nursing staff’s commitment to the organization, and raise the level of patient care. 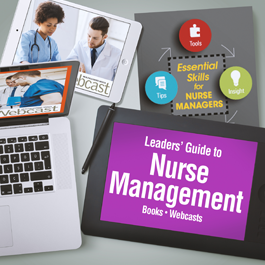 In Essential Skills for Nurse Managers, novice and experienced nurse managers alike will find the proven strategies, tools, and resources they need to excel as nurse leaders. The book provides downloadable forms and tools on all the key topics that enable the manager to immediately incorporate the strategies and techniques in the book into practice. 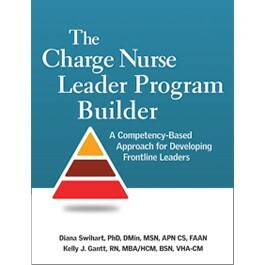 The Charge Nurse Leader Program Builder is the complete resource for creating a new program or revitalizing your existing training. It defines relevant competencies and provides the tools and framework that you need to get a program up and running. Use the book and its accompanying tools and resources to hold charge nurse workshops for those new to the role and provide ongoing training and development opportunities. The curriculum is already developed for you, so you can immediately get started.